Hello people of the Internet!!! On today’s ‘YouTube Wednesday’ we’re going to talk about an AMAZING new video that’s going around YouTube. 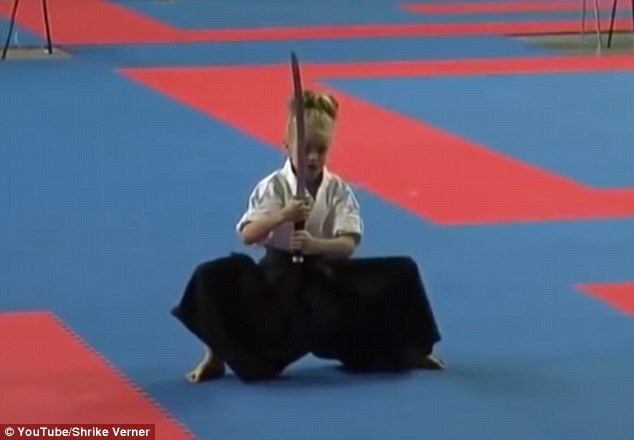 If you haven’t heard of mini martial arts expert Jesse Jane McParland then prepare to have your mind blown. At only 10 years old Jesse is a world kickboxing champion, and already has 117 martial arts titles to her name (seriously impressive!). So please keep reading and prepare to be completely amazed. Ready? Ok, let’s go!!! Jesse made a huge impact on the world when she competed on the reality T.V. show ‘Britain’s Got Talent’ in early 2015. She ended up placing 8th in the competition, but definitely became a fan favorite throughout her time on the show. A few days ago a YouTube video of Jesse competing at the 2015 World Championship Kickboxing tournament surfaced on YouTube, and once again we got to see how awesome she is. Jesse did some really cool routines with a sword that you just HAVE to check out in the video below. Needless to say this isn’t the last time that Jesse will amaze us with her martial arts skills. With a future of endless possibilities one thing is for certain, you definitely don’t want to mess with this girl. All photos and information used in this blog belong to YouTube, the channel that uploaded this video, Jesse Jane McParland, Britain’s Got Talent, World Kickboxing Championship, Simon Cowell, Jonathan Bullen, Ant & Dec, Nigel Hall, Lee McNicholas, Amelia Brown, Richard Holloway, Matt Banks, Charlie Irwin, Paul Jones, Fountain Studios, Thames, Talkback Thames, Syco, Fremntle Media, Global COmbat Sports organization, HNS, City Wanning, Le Meridien Shimei Bay Resort & Spa, hunan youyi, C’est bon, Ascent AG, Kwon, Schlagmesser, SThree, Fighter Legion, Shrike Verner, dailymail.co.uk, and all other original owners. I do not own anything in this blog. If any people, corporations, businesses, companies, etc, were not previously given credit for their work, they are given credit now and their previous absence was unintentional. All opinions expressed in this blog are my own. I wrote this blog for entertainment purposes and no copyright infringement is intended. celindareyesblog November 12, 2015 1 Comment on YouTube Wednesday: Jesse-Jane McParland, the little girl with a seriously terrifying talent. Category: YouTube Wednesday. Tagged: 2015, amazing, Amelia Brown, Ant & Dec, Ascent AG, Britain's Got Talent, C'est bon, Charlie Irwin, City Wanning, dailymail.co.uk, exercise, Fighter Legion, fighting, fitness, Fountain Studios, Fremntle Media, Global COmbat Sports organization, HNS, hunan youyi, Jesse Jane McParland, Jonathan Bullen, Kwon, Le Meridien Shimei Bay Resort & Spa, Lee McNicholas, martial arts, Matt Banks, new, Nigel Hall, Paul Jones, Richard Holloway, Schlagmesser, Shrike Verner, simon cowell, SThree, swoard, Syco, Talkback Thames, Thames, World Kickboxing Championship, youtube, youtuber. Hello people of the Internet!!! On today’s ‘YouTube Wednesday’, we are going to discuss a topic that everyone likes to run away from…exercise. With spring already here and summer quickly on its’ way, we all want to wear cute (and often short) clothes. So I thought that this would be a good time to introduce y’all too an awesome new fitness/lifestyle guru named Tracy Campoli, that you will owe all your cute #OOTD pics to. So are y’all ready? Then let’s go! Ok, the first video that we’re going to talk about is Tracy’s ‘Arm workout for tight toned arms!’ video, which was uploaded on August 24th, 2010 (you can check out the video below). This is a really cool video that will definitely get you dress…I mean arm muscles working. One of the things I love most about this video is that the workout takes about 5 minutes to do, which is perfect for all of us who are on the go (or just don’t want to work out). Next up we’re going to talk about another video that I think y’all will absolutely love! We all know that most of us complain about our waists and thighs, so if this is one of your “issues”, then check out Tracy’s ‘How to have a tiny waist and smaller inner thighs’ video, which was uploaded on December 13th, 2011. This is another workout that you complete in about 5 minutes, and it will definitely make you feel like you did some work today (so you can enjoy your tub of ice cream guilt free…yay!). I mean seriously, you gotta love a workout that you can complete during commercial breaks (or in between YouTube videos). Ok now we have Tracy’s ‘Dance Cardio’ video, which was uploaded on June 6th, 2013 (you can check out the video below). This video is a bit of a longer workout (14 minutes), but will get you up and moving. I think a lot of us hate the concept of running (or moving at all), but one thing that most people do like to do is dancing. This video is a fun way to get that Casio workout that we’re all suppose to get every day, without feeling like you’re working out. The last video that we’re going to talk about is ‘How to get past a weight loss plateau!’ video, which was uploaded on March 26th, 2015. Now I know that this isn’t a “workout video”, but I thought that this was an interesting video for us to talk about. A lot of people make a New Year’s resolution to lose weight (or we decide that now that spring/summer is back we need to fit in those cute shorts again), but most people have a hard time reaching their goals. This is a cool video that will give you some (free) advice from an actual trainer to help you continue to work towards getting as healthy as you want. All credit goes to Twitter, Facebook, Instagram, YouTube, tracycampoli.com, Tracy Campoli, all individuals, businesses, managers, products and/or organizations that should receive credit for anything mentioned in this blog post, and/or video used in this blog post, and all original owners. I do not own anything in this blog except my opinions and/or reviews. If any people, corporations, businesses, companies, etc, were not previously given credit for their work, they are given credit now and their previous absence was unintentional. All opinions expressed in this blog are my own. I wrote this blog for entertainment purposes and no copyright infringement is intended. celindareyesblog April 9, 2015 No Comments on YouTube Wednesday…Tracy Campoli, your newest fav fitness BFF. Category: YouTube Wednesday. Tagged: facebook, fall, fitness, get in shape, instagram, muscle, new, new years, spring, summer, tone, Tracy Campoli, tracycampoli.com, twitter, video, winter, workout, youtube, youtuber. Hello people of the Internet!!! 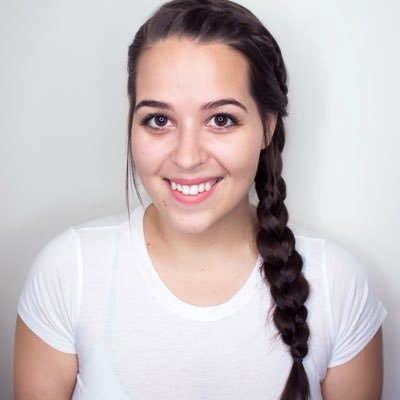 On today’s ‘YouTube Wednesday’ we are going to discuss Molly Bailey (aka missmollyanne14), the final member of ‘Behind the Beauty’, the new collab channel that I’m sure you’re all subscribed to by now (if you’re not here’s a link ). 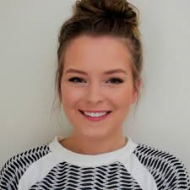 Molly is a very successful beauty/fashion guru whose channel currently has 120,467 subscribers (as of October 12th, 2014) and 4,827,417 total views (as of October 12th, 2014). If you love YouTubers who are witty, knowledgeable, and very interesting and funny then you definitely need to check out Molly’s channel. So let’s jump into the blog! The first video that is currently on Molly’s channel was uploaded on January 14th, 2013, is entitled ‘What’s n My Purse’ (What’s In My Purse? ). I really really loved this video because you were able to get a really good idea of Molly’s personality, and what the vibe of her channel is. I love it when YouTubers are really open and honest with their viewers by allowing their real personalities to shine through. Molly seems like a really fun, bubbly, and interesting person to watch, which will make viewers continue to flock to her channel. I also didn’t feel like she was too awkward or stiff in this video (like some YouTubers are, but I mean c’mon cameras do take some time to get used to). Once I saw this video I immediately wanted to watch the rest, because you know that if Molly was able to get off to such a great start, then the rest of her videos are just going to be absolutely AMAZING. The next video that we are going to discuss is Molly’s ‘Fall/Winter Collective Haul!’ (Fall/Early Winter Collective Haul! Kate Spade, Target, Forever 21 – YouTube), which was uploaded on November 13th, 2013. I decided to talk to y’all about this video because the items in the haul were really really cute, and as you all know I love haul videos (I mean you get to shop without spending money what could be better than that!?!). Honestly I usually decide on which YouTubers I love to watch based off of their ability to make a good haul video…and Molly definitely didn’t disappoint. What I really enjoyed about this video, is that Molly showed items that were all very different style wise, which I personally loved because all of her viewers will most likely find something that fits their individual style. I also really loved that she engaged her viewers by asking them to leave comments on the video about what they thought of the things she bought, and how they would style certain things. Next up we have Molly’s ‘Healthy Habits: 3 of My Go To Recipes for Breakfast’ (Healthy Habits: 3 of My Go To Recipes for Breakfast – YouTube), which was uploaded on July 7th, 2014. I thought that y’all would like this video because it shows 3 really unique recipes that are healthy and also yummy. They are also not difficult to follow, so I basically everyone could try these recipes out (I mean I can follow the instructions and I burn cereal…I’m just kidding…well sort of). I know that all of y’all are super big foodies, so you gotta love a video that allows you to give into your cravings without feeling like you have to run 5,000 miles afterwards…everybody wins!!! 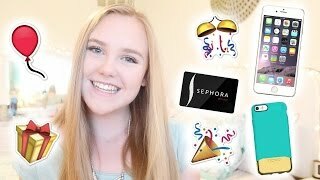 The final video that we are going to talk about is Molly’s ‘My Everyday School Look: Hair, Makeup, & Outfit’ video which was uploaded on August 27th, 2014 (My Everyday School Look: Hair, Makeup, & Outfit – YouTube). Now honestly I wish I could discuss each of Molly’s videos with y’all but then I would have you here reading this blog for months, and let’s be real, candy crush is not going to beat itself right? Right! So I choose 1 last video that I thought y’all would love! I thought that this was a cool video to feature because the hair, makeup, and outfit looks are really simple to replicate, and thus perfect for school. If you’re anything like me you literally have about 5 minutes to get ready before you have to leave, so this video is the perfect aid to help you look like you put some effort in your appearance without actually having to put some effort into your appearance. The makeup look is really natural so you won’t have to worry about your principal or parents not approving, and the hair and outfit looks are easy enough to do daily without having to sacrifice the small amount of sleep you are able to get after watching YouTube videos all night…I mean studying math and stuff…don’t worry I won’t tell on you. 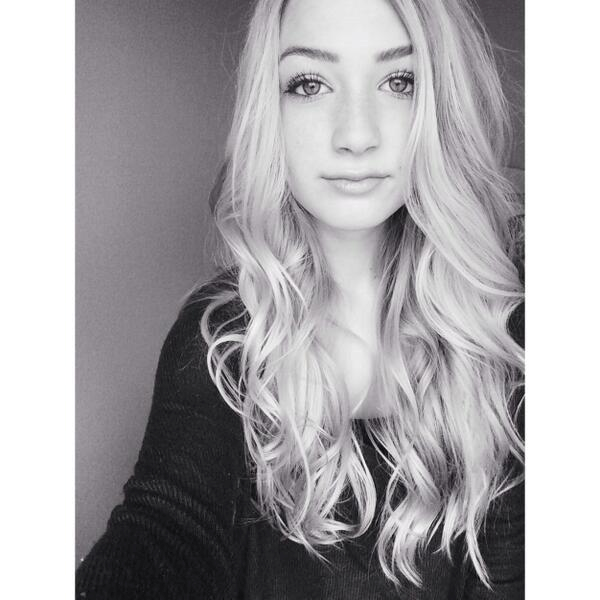 Keep up with everything Molly is doing!!! All photos and information used in this blog belong to all businesses, people, corporations, investors, managers, agents, PR agents, publicists, committees, any and all others associated with in any way, shape, and/or form with the following: missmollyanne14, Molly Bailey, YouTube, Twitter, Instagram, Google +, Kate Spade, Target, Sephora, Forever 21, any and all other stores, people, and/or brands mentioned in this blog post or in any of the videos mentioned in this blog post, and all other original owners. I do not own anything in this blog. If any people, businesses, corporations, agents, publicists, agents, managers, PR agents, investor, and/or any others that deserve credit that were not previously mentioned, are now given credit for their work, their previous absence was purely accidental and I apologize for their absence. All opinions expressed in this blog are my own. I wrote this blog for entertainment purposes and no copyright infringement is intended. celindareyesblog October 22, 2014 No Comments on YouTube Wednesday: missmollyanne14…the YouTuber that has beauty, fashion, and health down to an art. Category: YouTube Wednesday. Tagged: beauty, Behind The Beauty, fashion, fitness, forever 21, Google +, health, instagram, Kate Spade, missmollyanne14, Molly Bailey, sephora, target, twitter, youtube.